As a rapidly growing lighting technology, LED CFL Light options are raising questions throughout the industry—it’s important to know the options and which one will work best for you. 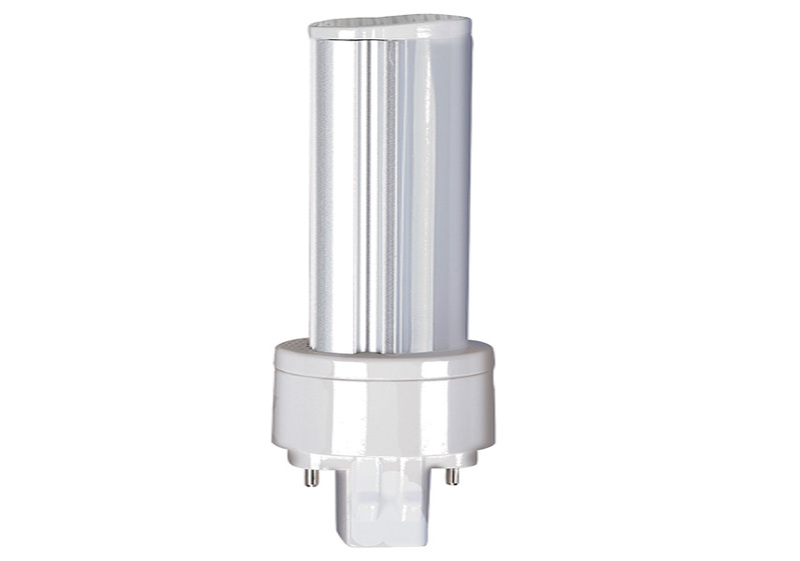 Description Type A LED CFL is designed with an internal driver that allows the tube to operate directly from the existing conpact fluorescent ballast. Most of these products are designed to work with 2 and 4 pin ballasts. Advantages UL Type A offers the simplest installation process— retrofitting involves a simple swap of the existing CFL with a Type A LED CFL. Unlike the other options, no electrical or structural modification of the existing CFL fixture is required. Disadvantages However, with these benefits come some limitations. The lifetime of a Type A solution is dependent not only on the design life of the LED CFL light, but on the compact fluorescent ballast life, which could result in additional maintenance and costs within the lifetime of the product. Ballast compatibility will vary by manufacturer and must be checked prior to install. Additionally, a UL Type A LED CFL sacrifices efficiency due to the additional power loss from the existing ballast and is limited in dimming and controllability. Description Like the UL Type A, this UL Type B LED CFL operates with an internal driver. However, UL Type B’s internal driver is instead powered directly from the main voltage supplied to the existing CFL fixture, requiring several important and unique considerations. Advantages UL Type B offers the simplest total system— retrofitting involves wiring directly to main voltage, bypassing the ballast which removes any compatibility issues, as well as eliminating maintenance costs associated with ballast replacements. Disadvantages Installation of a UL Type B involves electrical modification to the existing fixture in order to connect the tube to the power supply. The existing CFL and its corresponding ballast must be removed from the fixture. UL Type B is more efficient than UL Type A, with no power loss as a result of removing the existing LFL ballast, but similarly lacks control capabilities. It is important to note that the fixture’s incoming power wires are connected directly to the sockets, meaning installers are potentially exposed to the main’s voltage during installation. For replacement safety reasons, strict adherence to installation instructions is critical when rewiring existing fixtures and utilizing UL Type B tubes. Safe installation can be completed, but total installation time and cost will increase because of additional precautions required. “But once I convert to Type B, I will never have to replace a ballast again.” True, the external ballast will have been removed. However, the electrical conversion from mains voltage to the LEDs still needs to be done. With Type B, this is done entirely within the Tube itself. In order to accomplish this, Type B Tubes require much more complex internal circuitry than Type A and Type C. As such, there are more components to potentially fail. This may result in higher incidence of lamp replacement. “But isn’t all of that circuitry in the ballast or driver?” Essentially, yes. But an external ballast or driver allows for a less challenging thermal environment for the electronics, due to the availability of space, remote placement of the device, and ability to use potting as required. Inside a lamp, like a Type B tube, the electronics are confined to a small space, near additional sources of heat (the LEDs), often within an additional enclosed reflective fixture. Also, Type B applications are more susceptible to damage or failure from transient voltages/power surges, whereas an external driver or ballast has a robust design that offers more protection. These factors need to be considered in regard to overall reliability of a very long-life lamp. Experience the many advantages of LED lighting with a simple switch. New LED Plug-In replacement lamps enable you to replace inefficient CFL lighting without the need for tools or a costly upgrade. LED Plug-Ins provide 2.5x the life of an average CFL and use only half the energy, delivering a more targeted light that requires fewer lumens and reduces waste. Combined with the simplicity of Plug and Play installation for both vertical and horizontal configurations, LED Plug-In replacement lamps are a truly attractive solution. Longevity—With a lifespan of approximately 25,000–35,000 hours, an LED bulb lasts 2 to 4 times longer than a CFL, and 25 to 35 times longer than a standard incandescent bulb. Efficiency—While incandescent bulbs and CFLs generate most of their energy in heat, LEDs are cool to the touch—which translates into less wasted energy. It also means your air conditioner won’t have to run as high in hot weather. LEDs are more efficient than even CFLs: A 16.5-watt LED bulb is equivalent to a 20-watt CFL and a 75-watt incandescent. According to the US Department of Energy, adoption of LED lighting over standard incandescents over the next 20 years will prevent 40 new power plants from being constructed, generate more than $265 billion in energy savings, and reduce lighting electricity demand by 33 percent in 2027. Other benefits—LEDs have other advantages over incandescent lights, including a smaller size and greater durability and reliability. Unlike CFLs, LEDs can also withstand extreme temperatures, and they do not contain toxic mercury. Direction of light, many of these lights are directional and will not work for applications that require 360 degrees of light. Where will you use the light, bathroom, kitchen, living room or outside? Depending on the location should determine the light color which is referred to as Kelvin Temperature. Would you like to just take out your CFL bulb and plug in the LED CFL and continue using the fluorescent ballast? Not all LED CFL lights are ballast compatible so its important to choose the correct type, plugging a LED CFL lighting that is rated for direct wire applications only will damage the lamp. If your not sure about any of the available options please give one of our lighting guru's a call at 866.842.5512.